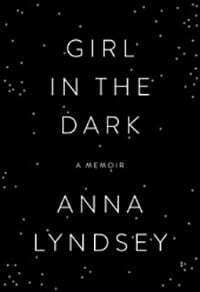 I first learned about “Anna Lyndsey’s” remarkable life story (the name is a pseudonym) through a magazine excerpt of her memoir, Girl in the Dark, and was so fascinated that I immediately wanted to read the whole book. Ironically, many readers who didn’t like the book felt that it would have worked much better as a magazine-length article. But I thought the occasional digression or overwrought description was a small price to pay to hear the story of a person who’s so light-sensitive that she must live indoors in complete darkness 24/7. Anna is a young woman with a fast-paced job at a hectic government office when she encounters an unusual health issue: the glare of her computer screen and fluorescent lights makes her face hurt. She endures the pain for as long as she can before reluctantly deciding to go on medical leave, little realizing that she will never return to this job — or any other. As her mysterious condition spreads to her entire body, Anna realizes she can no longer live normally or take care of herself. She quits her job, sells her London flat, and moves in with her boyfriend, creating a stifling, light-proof box of a room that becomes her only refuge from light. After much frustration, she’s eventually diagnosed with a light-sensitivity disorder so rare that she’s essentially one of a kind. Although the life she once took for granted is gone forever, Anna works to create a life worth living and learns to value what she has: a caring family, a lively mind, a patient and supportive partner, and the occasional stolen moment outside in the darkest night. This memoir isn’t structured like a typical, chronological story-of-my-life, and I understand the author’s stated reason for that choice: her life events are interspersed with months-long “blanks” where literally nothing happened, and it would be boring and repetitive to detail each one. The book focuses mainly on the development and rapid progression of Anna’s illness, her growing relationship with her now-husband Pete, and her own musings on the day-to-day realities of life with her condition. For those who absolutely must have a timeline as they read, there actually is one hidden on the very last page of the book, which shows the ups and downs of Anna’s ability to tolerate light (and therefore her relative freedom to move around). It’s pretty depressing to see the flat zero line that dominates the past few years, which is probably one reason she didn’t emphasize the chronology. I wouldn’t normally make excuses for flaws in writing, but in this case, Anna’s circumstances are so unique that the fact that she wrote a memoir at all is a marvel. How do you outline, write, and revise a book when you can’t even endure the minimal light needed to see a page, let alone the glare of a computer screen? And, after all, she wasn’t a professional writer by trade prior to her illness. So I’m inclined to give her a break for the occasional lapse into rhapsodic, overwritten prose, keeping in mind that in a life as constrained and limited as hers now is, the smallest events bear intense scrutiny and take on heightened meaning. One example (from early in her illness) is when a public rose garden, hearing of her condition, kindly agrees to open the gates for her after dark so that she can enjoy the rare treat of seeing and smelling the fragrant blooms and fresh air. Just because this is an ordinary experience for many of us doesn’t take away from its poignance and specialness for Anna, and we sense that this is a magical day she revisits again and again in memory – understandably so. Too often, memoirs are written by people whose circumstances and achievements aren’t truly that special or memorable, but there’s no danger of that here. It’s fascinating to imagine the challenges that Anna navigates on a daily basis, with complexities that most of us never even have to consider. Many people would be tempted to retreat into depression and solitude, or even feel that such a life isn’t worth living, but Anna seems to endure her condition with patience and occasional humor, cherishing what she does have. Girl in the Dark is a fast read, and most definitely like nothing you’ve read before. If you feel like your life has been pretty hard lately, give this memoir a try — and don’t forget to stop and appreciate the fact that you’re able to sit in the light and read it.